My husband and I signed up to walk under the Rehearsal Club Team once again and invite you to join us. We have been walking since the beginning of this crisis in the 80's. If the spirit moves, join the team, raise funds for BC/EFA -- which, by the way, has been a strong supporter of the RC since OUR beginning in 2007 -- and join us and other RC sisters in Central Park for a (challenging) walk in the park. Marion Ragsdale, may she rest in peace, left a talented bunch behind. Amy designs jewelry and helped us create the first RC "Key," and now we hear little brother, Dave, a crafting a new album. Check it out HERE (and help him fund). Did you know Betty Galvano's granddaughter is already placing first in singing and acting competitions in FL? A little bird says she may have the opportunity to audition in NY for a currently running Broadway show -- shhhhh -- don't jinx it! Last few March Mondays in March to be a volunteer shopper! If anyone remembers and knows where to find the following Alums: Patti Parsons Marmer, Susan Thompson, Fran Hice, Zoe Terzetta, Priscilla Decatur please let us know! Thank you to MAXINE KOENIG who reports that Faye Dean has passed. Not sure when. Our women continue to get hired and/or generate their own work. 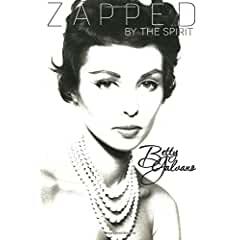 BETTY BIGGERS is retired, but constantly busy campaigning for her son, a Majority Leader of the Florida Senate and has just completed her first book, "Zapped by the Spirit." a member of Actor's Studio, is continually writing & performing. KATHY CONRY continues to direct and choreograph professionally while producing projects for her ministry. CYNTHIA DARLOW is a member of TACT in NYC, just returned from doing Sense & Sensibility in Storrs, CT and is already recording an audiobook! DIANE FINDLEY is coming to Broadway again soon in Gotta Dance. ANDREA FRIERSON is a singer, actor, and writer living in New York City. Currently, she performs her one-woman show, "me & ella" throughout the U.S.
PATRICIA HILL continues working primetime behind the camera. teaches Pilates, adult jazz & tap @ 5-6-7-8 Dance Arts (Brewster, N.Y.) & @ Logrea Dance Academy (Ossining, N.Y) regularly. She continues to choreograph professionally, most recently "High Society". MELANIE MAYRON is actively directing; watch for her name in Pretty Little Liars, Grace & Frankie; and Jane the Virgin. ANNIE O'DONNELL continues to perform & can be seen in features like, Jersey Boys & The Artist while continuing to guest star regularly. performed in Brooklyn to a sold out crowd. Contact us with your Goings On!